4mm (hole to hole) x 6mm (wide) uneven rondels or nuggets. 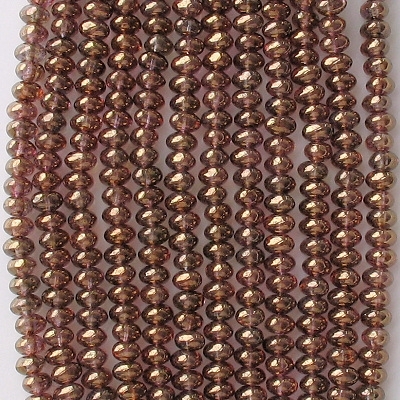 Clear glass with a mottled luster coating; pink reflections can be seen inside the beads. The coating is more translucent than the picture shows. I resisted getting these beads for the longest time because the supplier's price was unreasonably high, but I finally relented. They are small, but they are nice. The first of the supplier's pictures is too light, and the second is definitely too dark. 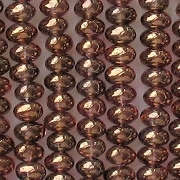 Also, the first picture shows some pink in the beads, and the second picture doesn't (the beads do have pink in them). 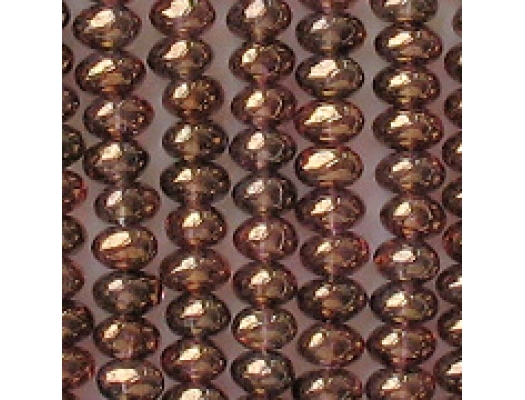 If you can image an image which is half-way between the two beads, you'll get an idea of what these beads look like.